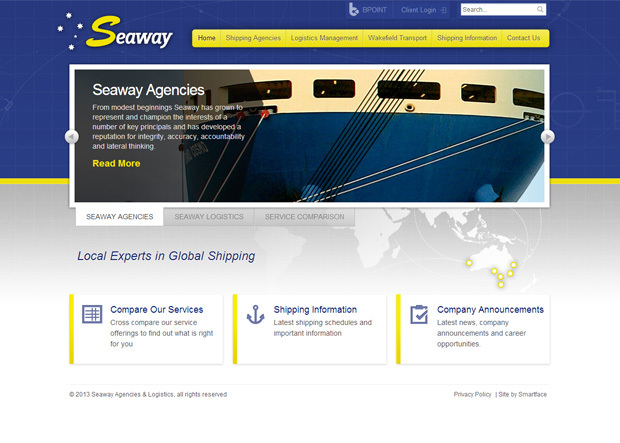 Smartface was initially consulted to update the design of the website to incorporate Seaway’s new branding, however through comprehensive workshopping we were also able to help streamline the product strategy. 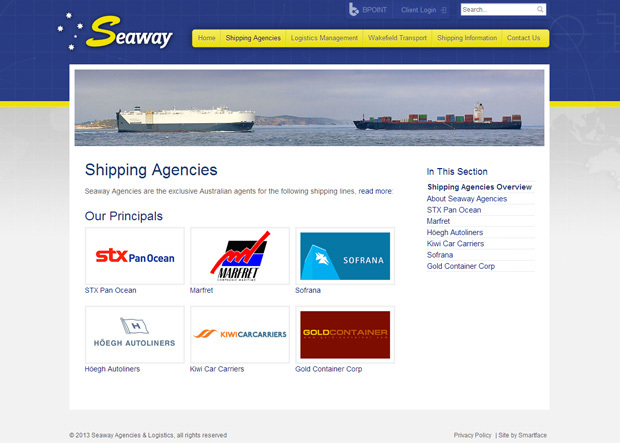 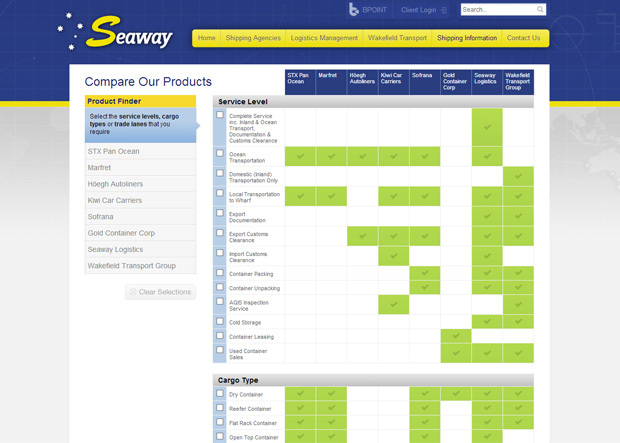 Through product development we helped shape Seaway’s offering, unifying product categories and simplifying information hierarchy. 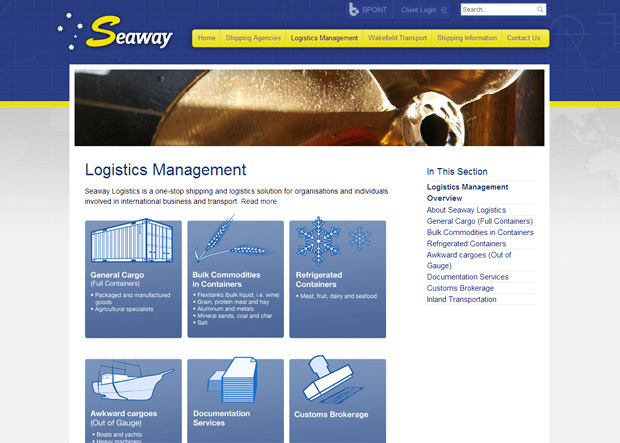 We developed an intuitive, client maintainable website that helps customers understand a complicated and diverse service offering.